Yucca Lounge in Shanghai, China is a cocktail lounge with modern Mexican feel. The interior design is by Shanghai-based design agency Dariel Studio. 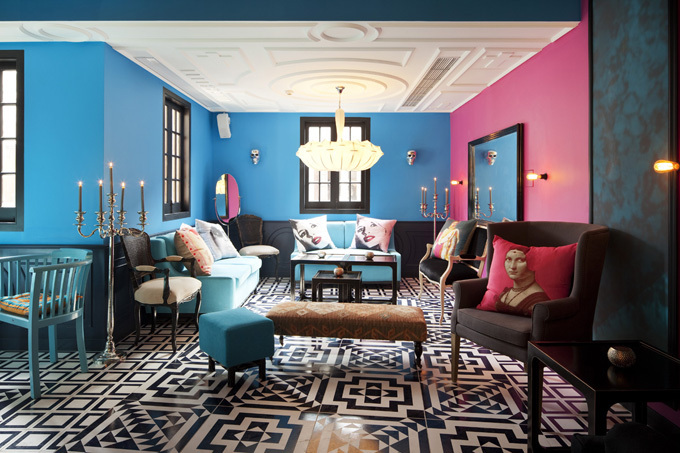 Inspired by Mexican art with touches of Salvador Dali, Diego Rivera and Frida Kahlo, the Yucca Lounge is a surrealist bar room with daring colours and design in trendy Shanghai.